Home » Doctors » Ben Colston, O.D. He lives in Dallas, Texas with his wife. 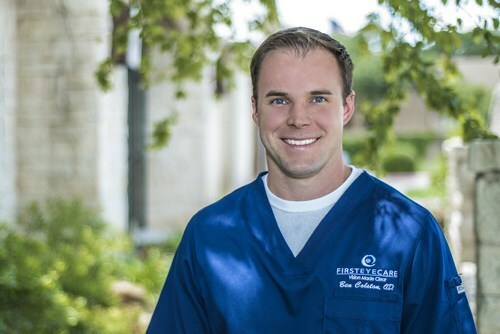 He is active in medical mission trips and has provided eye care to patients in Guatemala. He is an avid sports fan and likes to watch the Dallas Cowboys, Texas Rangers, and Dallas Mavericks. In his free time he enjoys spending time with his church community group, playing golf, and running.